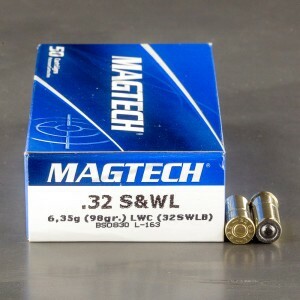 32 S&W Long wadcutter ammo was known to be extremely popular with police in the past but the round remains popular among target shooters and collectors today. The advent of “Zoot Shoots”, shooting with period weapons for both gangsters and police, he propelled 32 S&W Long Wadcutter ammo from obscurity. 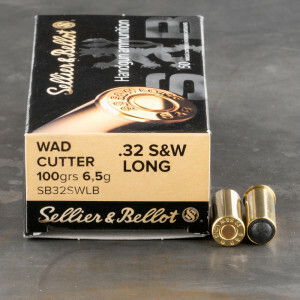 Wadcutter ammunition is a flat bullet designed for punching a perfect holes in a piece of paper. This allows for easier scoring at competitions. Wadcutter rounds are also known for their accuracy. Wadcutters are not the fastest velocity round but have proven popular with competition shooters for decades due to their accuracy. Great availability, fast transaction and delivery. And the ammo is good and reliable, Thank you.